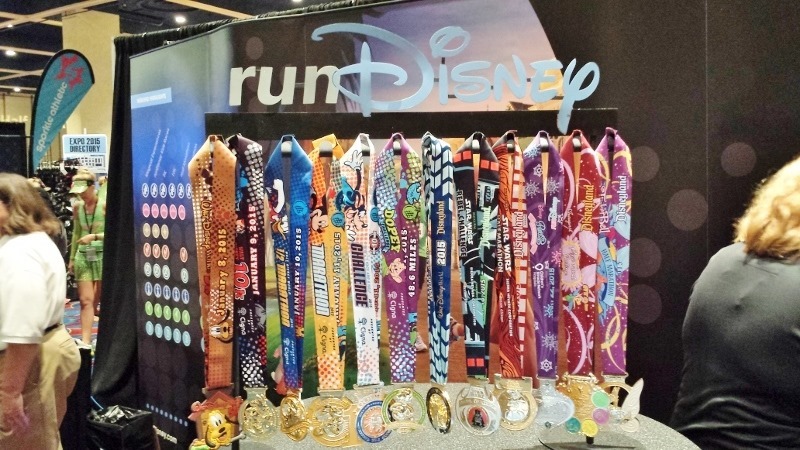 Run Disney throws some of the best races / parties on foot anywhere. I’ve run the 10K and Half Marathon at Disneyland in the past and it’s really a BLAST. 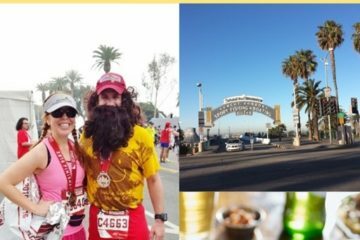 But, I know a lot of runners are coming from out of town or this is your first race – so I have some tips to share. 1. Get to the expo early and give yourself time to walk around and check everything out. 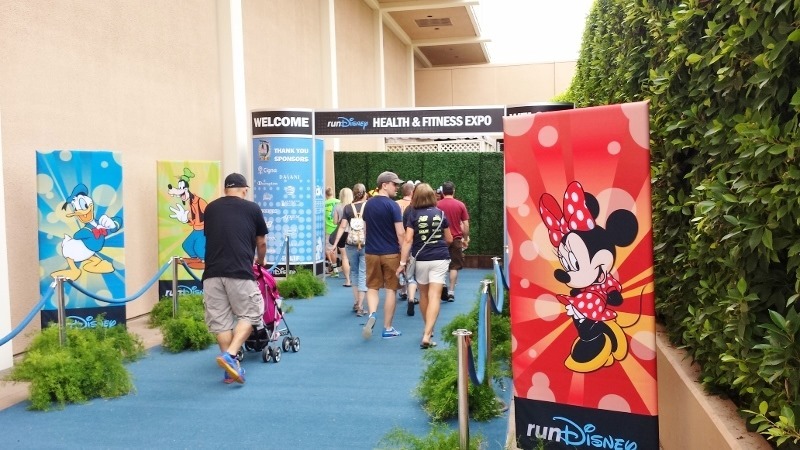 There is a ton of great Run Disney gear plus so many great booths to check out. 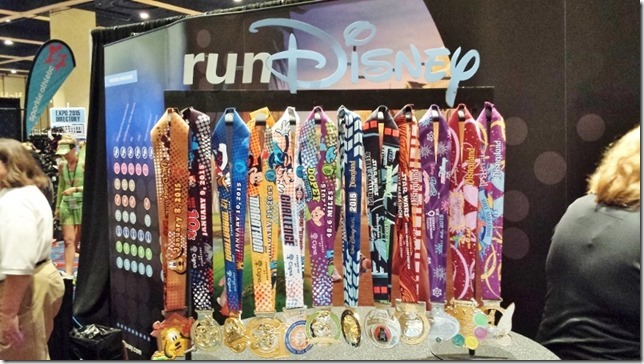 Some of my favorites are HeavyMedalz, Sparkle Athletic and ProCompression. 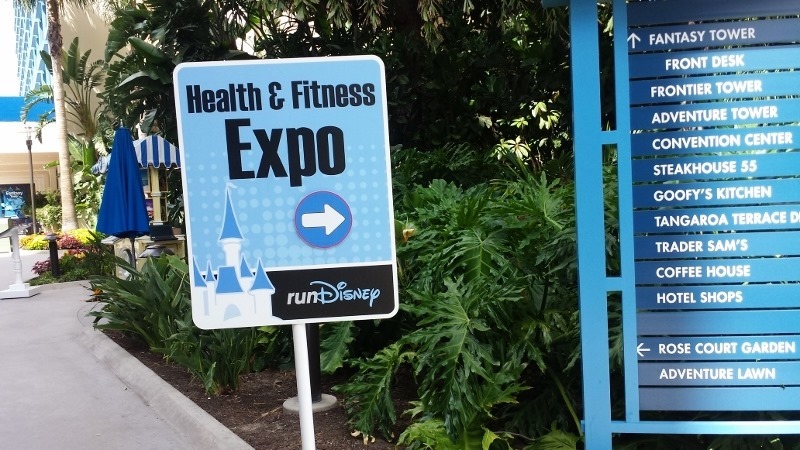 Also – you will need your ID to pick up your bib. Don’t forget it! 2. Factor in all the walking you’ll be doing before the race. 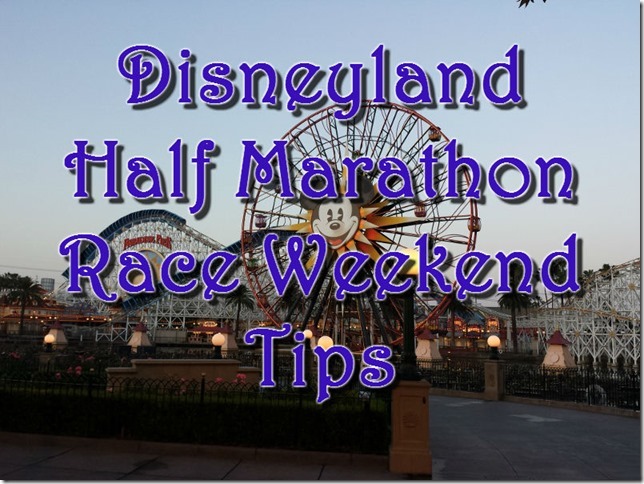 If you are at Disneyland to enjoy the theme parks you are going to be on your feet for hours and hours before the race. Make sure you allow time to rest and put your feet up. 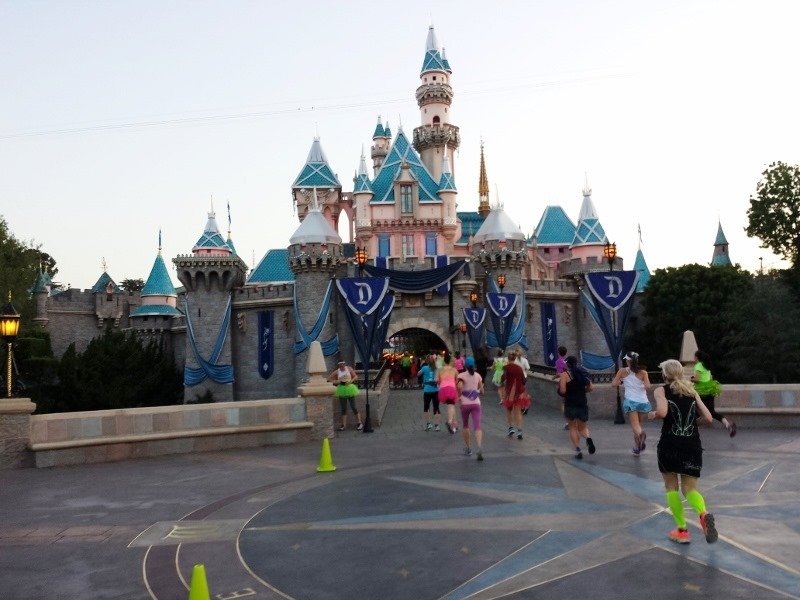 You have to prioritize how much you want to enjoy Disneyland – which is awesome and fun and memorable with the race – which is also all of those things. 3. 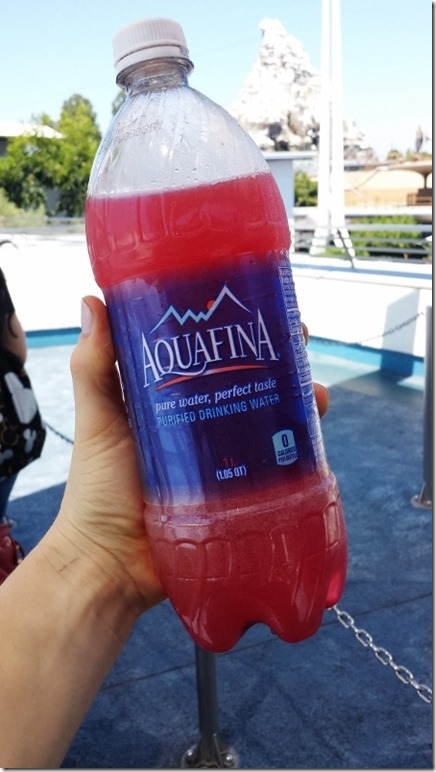 Fuel and hydrate. Unless you have a churro cart at your house (in which case can I come over?) you are probably going to be eating different things from your usual diet. Pack snacks and plenty of water. Keep in mind what your body usually likes eating before a race. If your stomach is a steel cauldron of food love (like mine) enjoy all the kettle corn you want, if you need to eat pizza without sauce before a race factor that into your pre-race plans. 4. Consider a costume. A lot of people dress up for Run Disney races – all distances, all locations. You don’t have to, but it’s fun! 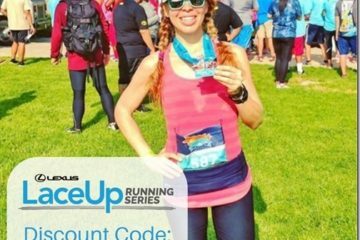 Plus there are tons of photo ops during the race so you might want to be dressed up for those. 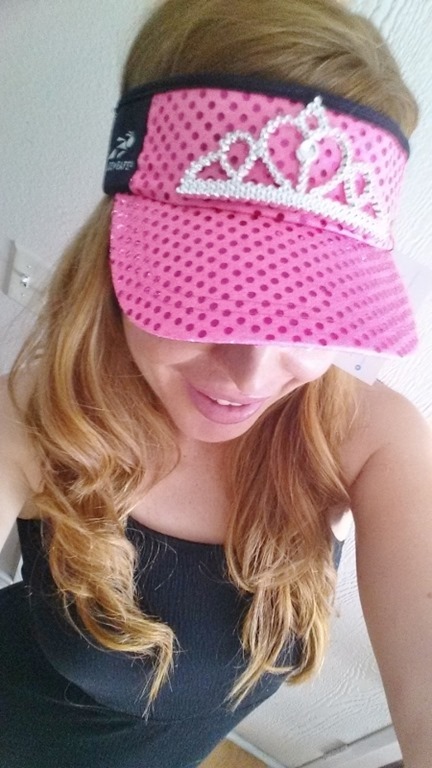 I scored my costume from Sparkle Athletic today at the expo! Any guesses? Stop by their booth at the expo or you can order online! 5. Pre-Race Fuel. Some say breakfast is the most important meal of the day – but I say pre-race fuel is the most important of the year. Even if you can eat whatever you want before race day it’s a good idea to pack the meal you ate before long runs on race day. Tip: Some of the restaurants at Downtown Disney will be open early for runners and spectators. 6. Start your engines!! Disney races start EARLY! 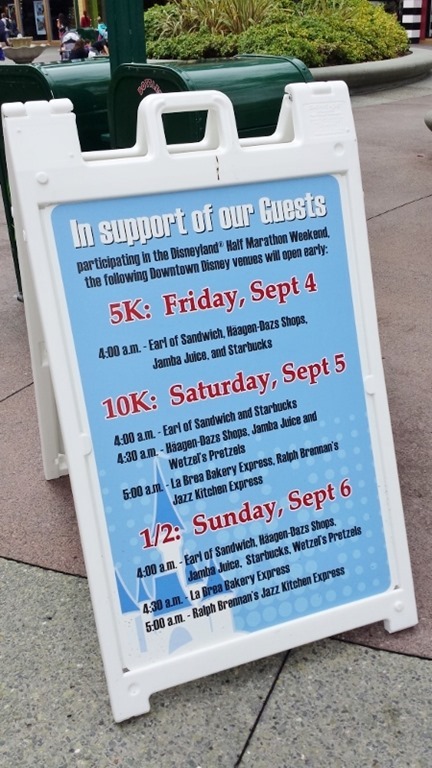 Plan getting to the start line with plenty of time to hit the porta potties and find your corral. 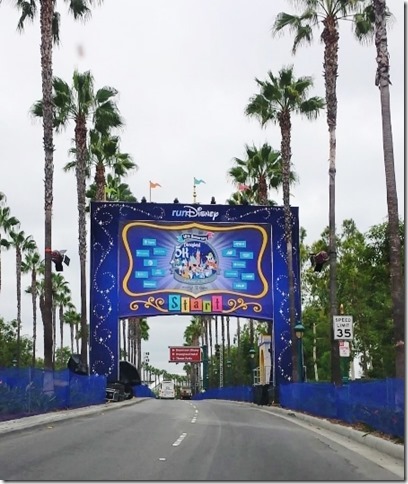 Whether you are staying on Disney property or a local hotel or at home – plan your route to the start line ahead of time since some streets will be closed and there will be big crowds. 7. Enjoy the sights and characters! 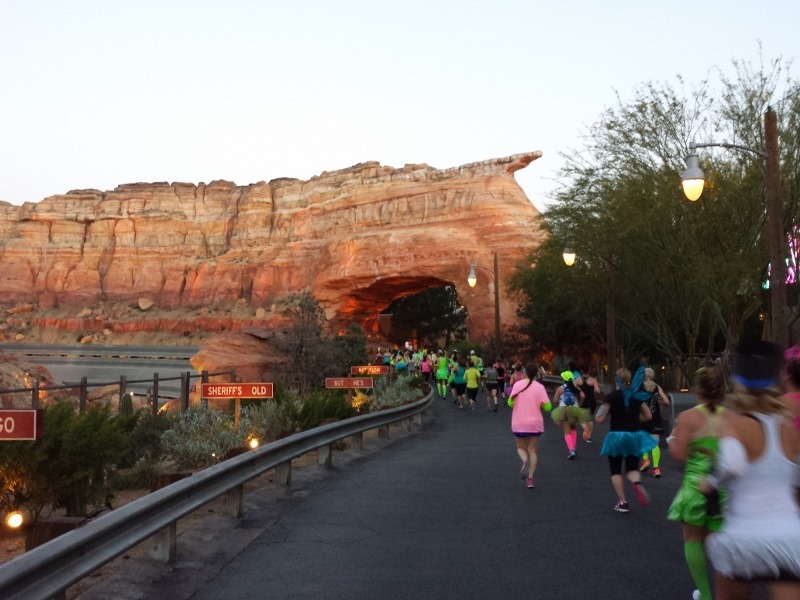 Disney races are awesome because you get to run through the theme parks. 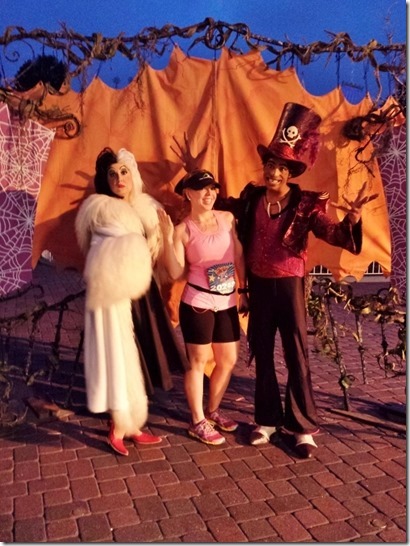 Plus they have characters set up for photo ops throughout the course. You can’t look up what characters will be out or where they’ll be and that’s part of the fun – keep your eyes peeled! When you see a character or location you like it’s okay to stop and take a picture. 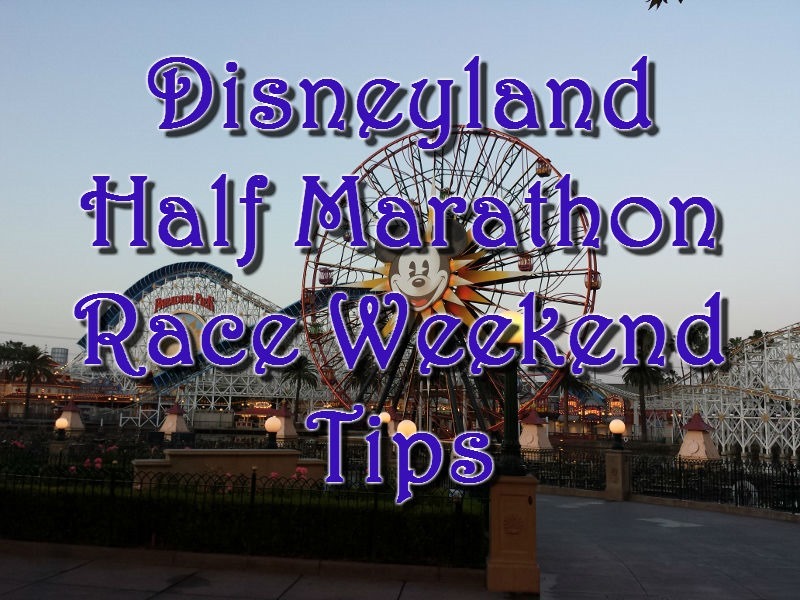 Tip: Because the races start so early it will still be dark at the beginning of the race. Make sure your phone or camera has the flash on OR can take good night time pictures. 8. Celebrate! You did it!! Now it’s time to enjoy all that training and hard work. 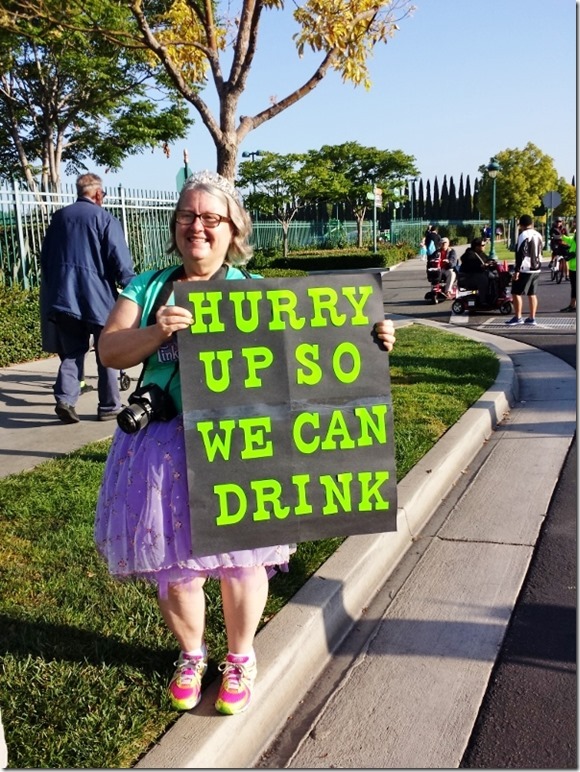 Communicate with your family, friends, cheerleaders, dog…where to meet up after the race. Keep your race medal on all day. Eat well. Rest up. And enjoy that post-race glow. And let me know if you’re in!! Question: What are you doing this weekend? That sign at the end made me laugh- exactly the kind of thing my friends would do for me! I’ll be enjoying a 3-day weekend. Sally is right – your Jesse rocked. And it went well with your sassy li’l attitude! I loved your jesse costume! I’m going out to shelter island for the weekend. My boyfriends dad is sailing there and we are meeting him. Should be lots of fun. I also have a 15 mile run to do on Monday. Enjoy the run! I can’t wait for your re-cap w/pictures. “HURRY UP SO WE CAN DRINK” > LMBO!!!! Are you going to be Sleeping Beauty? because if so I will be on the lookout for you because I will also be a red haired Sleeping Beauty.